I've never found any reason to enjoy any of the Wolverine-centered X-Men spin-off films. Until now. “Logan” is “The Dark Knight” of the X-Men films; a gritty, dark take on an iconic superhero that is constantly engaging and surprisingly emotionally raw, if a bit overlong. One always has to ask, Does the world need another X-Men film? Do we really need to hand our money over to watch Hugh Jackman slash people with his steel claws, even if this time there's more blood? The answer is now an astounding yes. “Logan” reaches new heights for a comic book film. It goes much further than most comic book film adaptations have, considering a majority of them are popular because of their family-friendly PG-13 rating. Like the serious cousin to last year's delightful and successful “Deadpool,” “Logan” is a wonderful return to form for the long-running franchise. 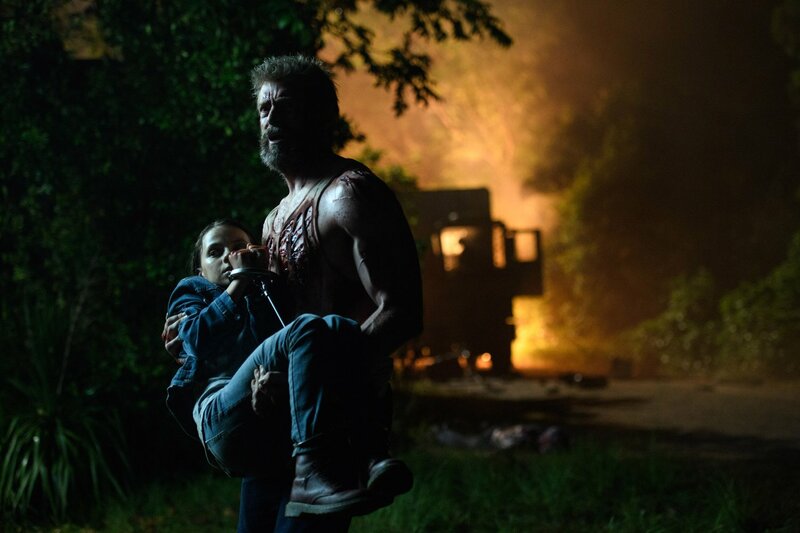 Is it just me or does “Logan” remind anyone else of “Terminator 2?” There's a grizzled badass main character who teams ups with and protects a kid on a cross country trip with a smooth talking, cyborg-like bad guy hot on their trail. Oh, and there are awesome action scenes every once in a while. The film is set a bit further in the future where mutants seem to be a rare breed; Wolverine (Jackman) is a bit older, more grizzled, and his beard is a bit longer. He works as a limo driver and is taking care of a much older, ailing Professor X (Patrick Stewart) and an albino mutant named Caliban (Stephen Merchant). He inadvertently gets stuck taking care of a young girl named Laura (Dafne Keen, brilliant in her film debut) who also happens to have mutant powers suspiciously similar to Wolverine. We quickly recognize the mentioned “Weapon X” program and a bad guy named Pierce (Boyd Holbrook) is after the mysterious girl. Why anyone would want to know any more about the story than that is beyond me. “Logan” like the previous Wolverine pic “The Wolverine” is directed by James Mangold. But unlike, “The Wolverine” which was a mild success with plenty of fans, “Logan” is a richer, more fascinating and worthwhile film. We've seen Jackman play his character ad nauseum for the last seventeen years and he slips into the role like a comfortable pair of shoes; and he's still fascinating to watch. It all feels like it was leading up to this. Him being paired with not only an older Charles Xavier, but with a young girl is a fascinating dichotomy. This familial relationship between the characters makes for rather interesting plot points and must certainly be a joy to the actors who get to actually emote when they aren't busy graphically chopping limbs from enemies' bodies (oh my this movie earns its R-rating).